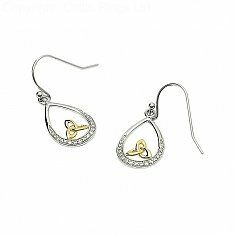 The tear drop shape of this silver pendant is highlighted with a row of sparkling cubic zirconia nestled into the border. 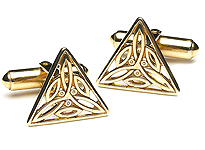 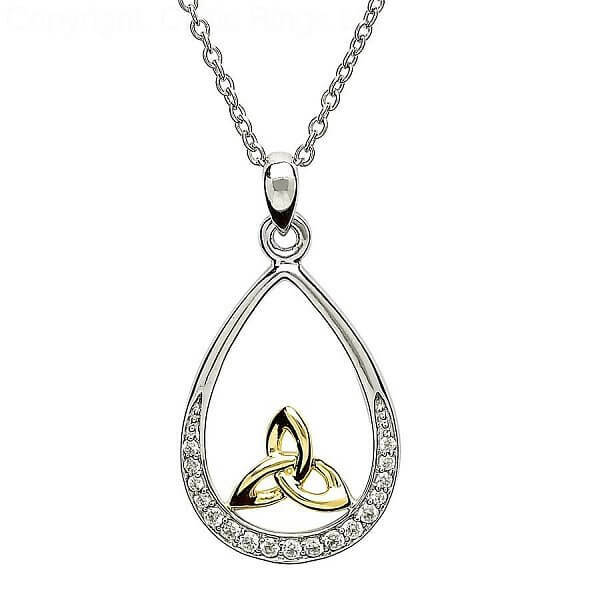 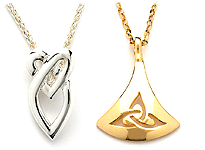 A beautifully crafted gold plated Trinity knot occupies the center. 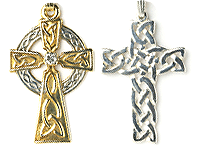 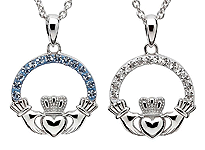 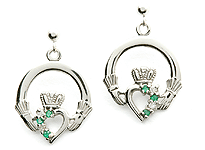 Handcrafted in Ireland by highly skilled Irish artisans and wonderfully presented in a luxury jewelry box. 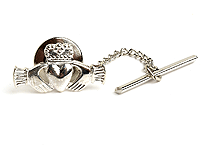 Hallmarked by the Dublin Assay Office.